Kids in the kitchen means creativity! Getting young people comfortable cooking can build the knowledge and skills they need to provide a lifetime of confidence in knowing how to eat well — to prepare tasty food for themselves and for others. Unique to our 21 Acres’ culinary program is the fact that our approach is based on seasonality and supporting local farms who use sustainable and regenerative practices. Kids work with the very best ingredients! We are adding classes regularly to the calendar. 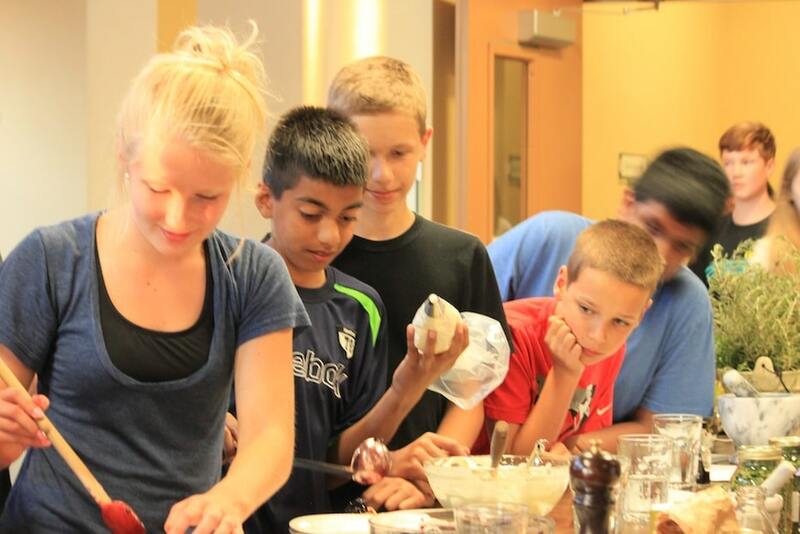 Currently, we’re pleased to partner with Seattle Cucina Cooking School to offer a series of Cultivating Cooks classes that fuel creativity and provide hands-on experiences that help improve students’ knowledge about nutrition, provides them with a better understanding of how they relate to their families and community, and fosters the role that kids play as they participate in sustainable food systems.